When the Google Pixel 2 and Pixel 2 XL were launched, there were so many different issue between the two devices that a law firm was seeking out owners of the two handsets. The firm wanted to file a class action suit against LG, HTC (the manufacturers of the second-generation Pixels) and Google. Eventually, Google sent out the necessary software updates to fix both devices. In October, we told you about a "buzzing" issue that affected some Pixel 3 XL owners. Last month, a flickering screen problem negatively impacted some Pixel 3 users. 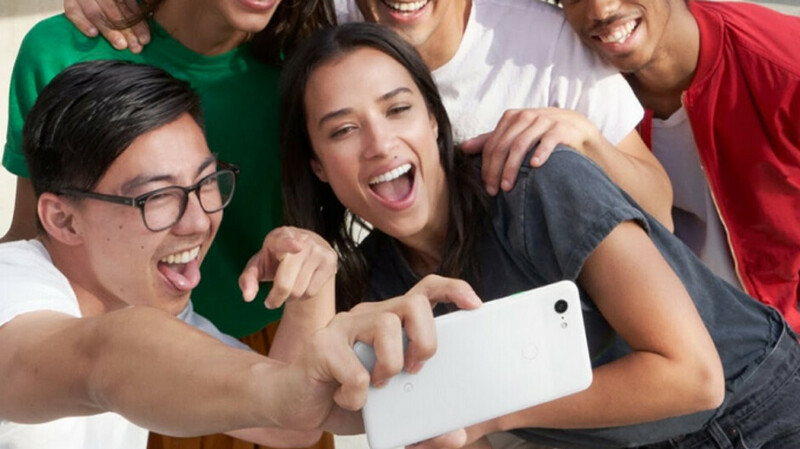 Now, the latest issue with the third generation Pixels can be discovered at the Pixel User Community at Google's Product Forum (via Android Police). This time, the problems are related to phone call connectivity on both the Pixel 3 and Pixel 3 XL. Some are complaining that no one can hear them talking for the first few seconds of each call. And even when one person was able to swap for a brand new model with Verizon, the new unit had the same problem. There are other issues on the 2018 Pixels when it comes to phone calls. One Pixel 3 XL owner posted that his phone was being affected by "choppy audio, words being cut off, extreme echo and tinniness, periods of complete silence, words being 'stacked' and more." Others are having the same cornucopia of problems. These issues are not constant and are showing up intermittently. Trying the dreaded factory reset does not help. A few users did have some relief when they disabled Advanced or Enhanced calling features available through their carrier, but most found that this did nothing to help the situation. If the past is prologue, Google will send out some patches to fix the problems. In fact, some claim that the December update improved the issues with call connectivity. But for the majority of Pixel 3 and Pixel 3 XL owners complaining about having problems making phone calls, the issues persist. Wait, didn’t Google just recently send out a bunch of patches to fix issues with the Pixel 3/3XL? What gives here? The Pixel line really is just a beta project, IMO. Issue after issue after issue. Worst released phones of 2018 with all of these issues, and too expensive for all of the issues that they have. If it wasn’t for the camera on the Pixel line, these phones would be useless. No, this is just a hit piece. I have the p xl 2 and the pixel 3 std. And experience none of these problems. So either it's wayyyyy over blown or I'm insanely lucky. Must be luck, or anecdotal evidence, because there are just too many issues cropping up for it to be overblown. I have had the Pixel XL, Pixel 2XL, and now Pixel 3 XL. for some reason every issue on the Pixel gets reported. This issue could be affecting 1 person and you will see a news article about it. Again, anecdotal evidence. If this were the iPhone, you guys would be on full attack mode. Every issue of the iPhone gets reported too. Google dropped the ball with the QC on the Pixels again. And it’s clear from the article that this issue is affecting more than one person. Hitchen's Razor: What can be asserted without evidence can be dismissed without evidence. Not really. The source article is the evidence. Not only that, but you will have some people over blowing issues that they have never experienced because they have never used a Pixel. They like to deflect and bring up Apple who has nothing to do with this article. Deflecting from these issues with either anecdotal evidence or being a Google apologist will not help Google get better with making smartphones. It will make them complacent. I find it funny coming from you who continues to be a Huawei apologist and dismissing anything that goes against your anti Pixel agenda. Lol the only reason you even attack the Pixel phones is because of me. Lol, what’s even more hilarious is that you’re completely mimicking what I’ve proven about you. You attack any OEM I favor, including Huawei, BlackBerry Mobile and Nokia. You’re a Google Pixel apologist, and you’ve never even used a Pixel Phone. I make remarks about the real issues affecting real Pixel users, while you troll the OEM’s I favor because I have you on your 10th account here. It's an article from Alan. That tells you everything. Where's his source? I can't wait for the pixel 4, surely my next phone. Same here although the 6T is on my radar at the moment. Nice to see feed back from people who actually have used a Pixel instead of just talking out of their backside and crying anecdotal. So where is your Pixel? Do you own one, or are you just being a Google apologist and blindly defending them, as usual? My point is problems are normal every product on the market has issues. For some reason the Pixel gets the ire of internet trolls such as yourself. I recently uninstalled Waze because it was causing audio issues on my device and before you say ah ha another pixel issue it does the same thing on my Galaxy s8 So before we jump to conclusions that this is a Pixel issue we do need a lot more info. I would guess because it appears to be affecting just a handful of people there is a common denominator more than likely its an app they are using. It could be googles hardware or software too. So does that apply to Internet trolls like you on iOS articles when every issue that iPhones have get posted? It can't be "jumping to conclusions" if it's affecting actual Pixel users, which it clearly is, since they are the ones making the complaints. You being an apologist for Google like others here isn't helping Google get better with hardware and software, it's making them complacent. But if enough of you apologists switch it up and actually make your voice heard to Google about these issues, Google will be forced to address them. I'm almost certain that it's a combination of Googles hardware and software, as their last two iterations of Pixels have suffered from a plethora of issues as well. This is not a coincidence. I'll take their word over the word of someone proven to be a biased party and doesn't know what they are talking about half the time. So you’ve never used or owned a Pixel before. Got it. Thanks for admitting it, and thanks for outing yourself as liar that doesn’t have a clue about you are talking about. So how many issues did you encounter then? How many issues have you encountered with current Huawei smartphones, BlackBerry smartphones, and Nokia smartphones since you're always complaining on those articles? Don't deflect and make up stuff now. Don’t deflect by lying now. That’s what you’re doing right now. Another day another pixel 3/xl issues. Glad I didn't buy this dreaded phone.